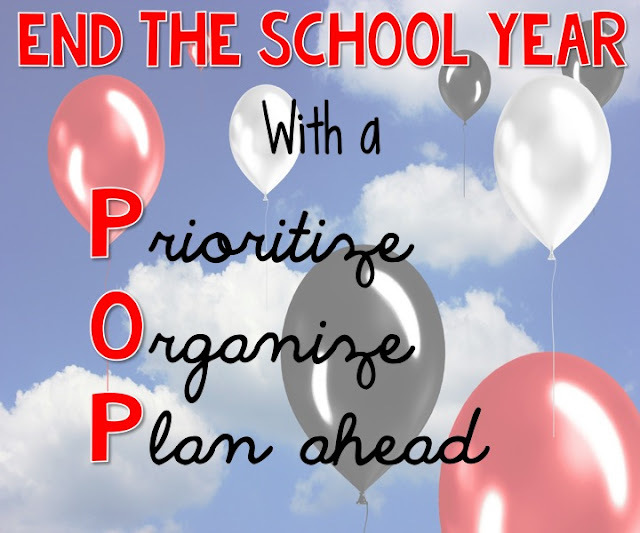 3 Tips to End the School Year with a POP! 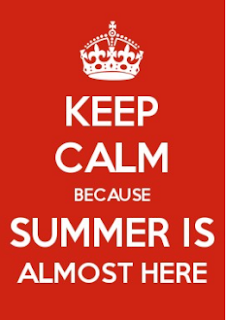 Hang in there, summer is just around the corner... for most of us that is. If you are lucky, maybe you are already sitting with your toes in the sand with a tropical drink in your hand and reading this from your iPad. For me, I have only 9 days left and 5 of those are half days, but who's counting.... Today, I have three tips to make the end of your school POP. With the end of the school year coming at us full speed ahead, it also comes with a never ending list of "must do's". Before we can close that door for the summer and walk away we must prep our rooms for the summer cleaning crews. I also like to prep it for my return as well, just to make my return a little less-stress free. Here are my 3 top tips for ending the school year with a POP. 1. Prioritize: Take that never ending list of things that must be done before you can leave and prioritize. 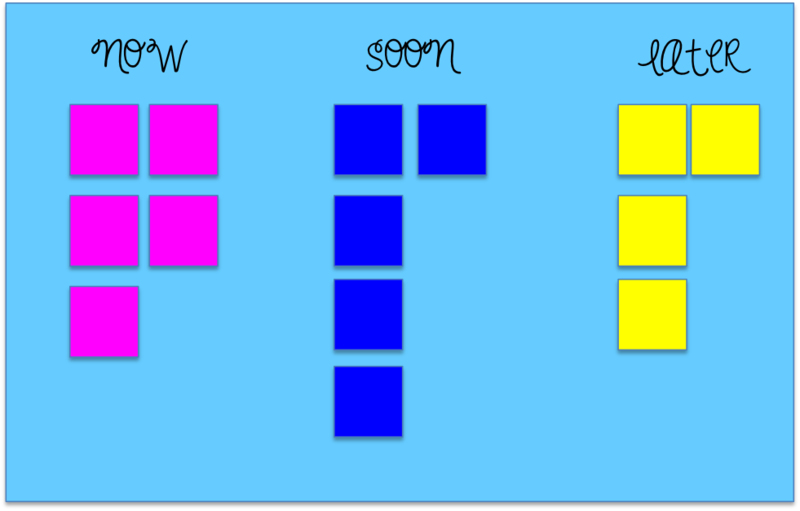 TIP: Use three different colored post-its to signify the urgency of each item on your list. Place the post-its on a poster board divided into 3 sections labeled now, soon, later. Once you have completed a task remove the post-it. 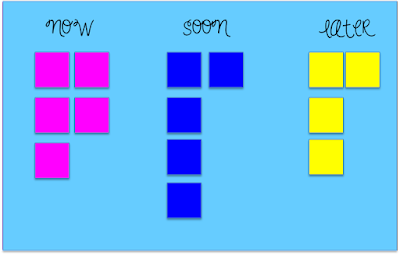 The visual reminder and the removal of the post-it will be great motivators to get thing done. 2. Organize: Organize the supply drawers and cupboards. I spend one afternoon going through my drawers and another on my cupboards, tidying up the supplies. This means purging, replenishing, taking note of what I need to reorder, purchase or return to the supply closet. Some items the school will supply, others I purchase over the summer. The items I need to purchase, I put into a list on my phone so I can remember to look for during the summer months sales. This helps me not buy extra items I don't need. Returning in August to clean drawers and cupboards makes starting the year off so much easier. I know we are all tired now, but the truth is you won't have time to do it during back to school, so DO IT NOW!!!! 3. Plan Ahead: If you already know of items you will be using at the beginning of the next school year and can make them know do it. I have some new literacy and math centers I made recently. Last week I printed and laminated them and my parent volunteer is cutting them out. I also plan on putting my calendar notebooks together next week. For this I will be enlisting the help of this years most responsible students. Think of what you will be doing the first few days of school and get it ready if you can. I hope my 3 tips will help to make the ending the school year stress free and organized.